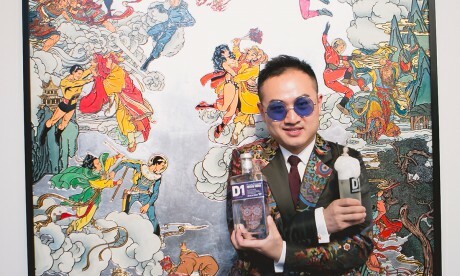 D1 sponsored the launch of Jacky Tsai’s solo art show at the Fine Art Society in London. 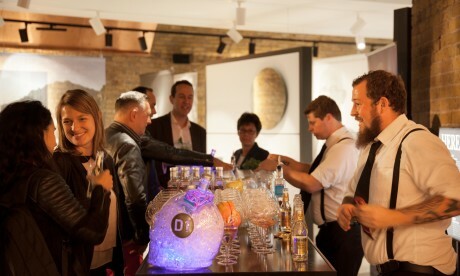 Using the theme of Eastern and Western culture of art and fashion, D1 provided bespoke cocktails featuring the soon-to-be-launched D1 Potato Vodka. Consumers visiting any of the participating locations during October will receive a creative cocktail for free by simply ordering the D1 Gintober cocktail, posting the photo to their Instagram account, checking in to the bar and using the hash tag #D1Gintober. D1 London Gin recently sponsored Jacky Tsai’s first solo show in Hong Kong, East West at The Cat Street Gallery. 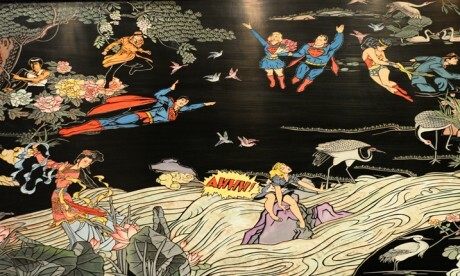 In this show, Jacky Tsai creates western pop art using traditional Chinese crafts, ultimately creating his own Chinese contemporary pop art. 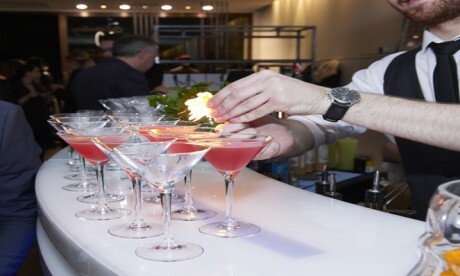 We provided our signature mint garnish twist on the classic Gin and Tonic and re-invented the Cosmo to help celebrate the 40th anniversary of Feathers Boutique in Knightsbridge. 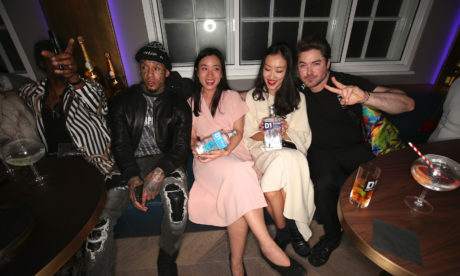 Attended by top fashion and style influencers, the event was a celebration of Feathers’ success as an independent boutique in showcasing leading and emerging talent across generations. 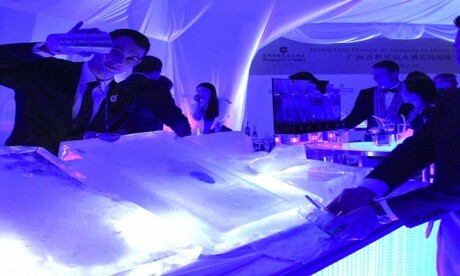 This ice run with a frozen bottle of D1 was created for the recent Chaine des Rotisseur event at the Shangri-La in Guangzhou. 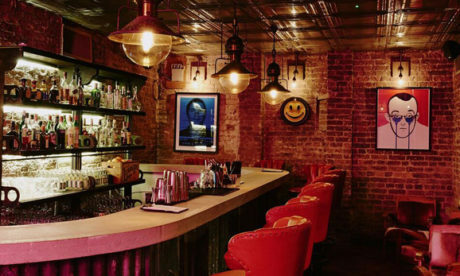 Bastien Ciocca, Service Manager at the Shangri-La, created the run to provide members with an innovative way to collect their cocktails made from D1 London Gin. 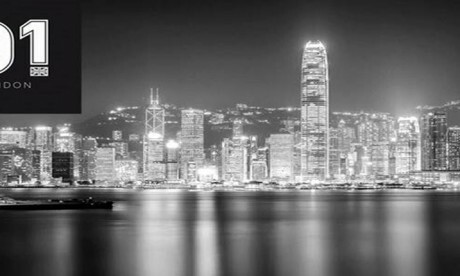 We are launching D1 London Gin in Hong Kong on September 25th at Boujis and other establishments with discerning judgement on spirits such as Barsmith and Lily & Bloom. D1 London Gin will also be available from retailer Liquor & Liquer. 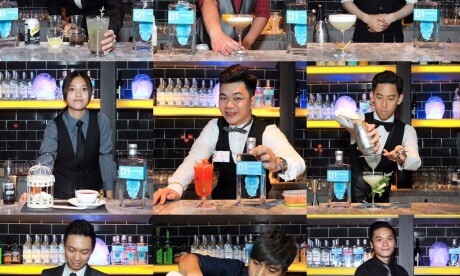 Meeting demand for smooth super-premium gin in Hong Kong, D1 will be distributed by Universal Exports.